Jimmy Seals and Dash Crofts are two musicians from Texas who were immensely popular in the 1970's, and still honored today for their hits Summer Breeze, Hummingbird, Diamond Girl, We May Never Pass This Way Again and Get Closer. Their unique pop/rock sound was made famous by their incredible vocal harmony, songwriting and musicianship. 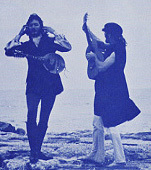 Their music was also distinctive for their spiritual lyrics and themes, inspired by the teachings of the Bahá'í faith. 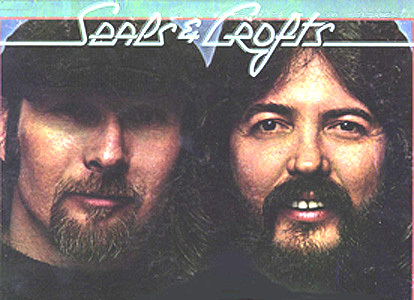 Although no true reunion is planned, Seals & Crofts recorded their first album together in over 20 years in 2004, entitled TRACES. To order and see fan reactions, go to CDBaby. The album features new versions of several hits from the 1970's, plus some newer tunes! S & C are in fine voice. Included are a total rearrangement of the hits, such as Get Closer (with Dash's daughter Lua and Jimmy's daughter Juliet). Some updated album cuts are added, such as Not Be Found and Euphrates. Another highlight is the previously unreleased "Change the Copper Into Gold" (inspired by the spiritual odyssey of Dorothy Baker), a mesmerizing song that ranks among Jimmy's best. A newer song also penned by Jimmy, "North Light," has been retitled and released as "Paint You." The album does not include the song "Traces," which was Jimmy's recounting of the ten Bahá'í women executed during the Iranian persecutions in the 1980's. That song was released in 1987 on a rare Bahá'í album, called Jewel In the Lotus. The album does, however, include a version of "Love Takes No Prisoners," which first appeared on Louie Shelton's cd, Hot & Spicy. For more details, go to the Traces page. REMAINING ALBUMS RELEASED ON CD IN SEPTEMBER OF 2007!! Wounded Bird Records released most of the remaining Seals & Crofts albums on 9/18/07, and they can be ordered at their website and several other online distributors. The Get Closer and Diamond Girl albums were released at Rhino's Flashback division on 9/18/07 and 2/8/05 respectively. Get Closer is also available for download at this link. However, those digital files may not be compatible with Apple computers. Until now, only a few of the lps from the 70's were released on cd. The ever popular Summer Breeze album has been available since 1995, with a reissue in 2004. The original Greatest Hits album has been available for years, but without a decent remastering and without the newer songs. 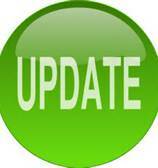 For details on the past release issues, see the revised F.A.Q. section. THE WAIT CONTINUES. . . Sadly, no Seals & Crofts tour is currently planned. No additional recording project is in the works either. DAN SEALS (1948-2009). Jimmy's famous brother Dan, who succumbed after a long battle with Non-Hodgkin's lymphoma. He was known to fans for the many hits that were charted by England Dan and John Ford Coley, and a long solo career in country music. He was known to those close to him for his warmth, generous spirit and engaging wit - he is sorely missed. Dan and Jim toured together following their appearance at the Grand Ole Opry in 2002, as Seals & Seals. They were also backed by Jimmy's sons Joshua and Sutherland, who have been in various bands, such as Hum Static. Dash and his wife Louise raise Arabian horses on the Crofts family farm in Texas. For a recent feature article on them, click here. Dash makes occasional singing appearances and sometimes surfaces with the same Gibson mandolin that rang out on all the albums in the 70's! HELP US COMPILE A CONCERT LIST FROM THE 7O'S. We've started a concert list with commentary from various shows. Tell us all about the concert and what it meant to you! Go to the concerts page. SUMMER BREEZE REMIX A HIT ON THE ADULT CONTEMPORY BILLBOARD CHART! We've had a number of inquiries about the Gap ad that featured "Summer Breeze." It appeared on "American Idol," "Friends," and other prime time shows. 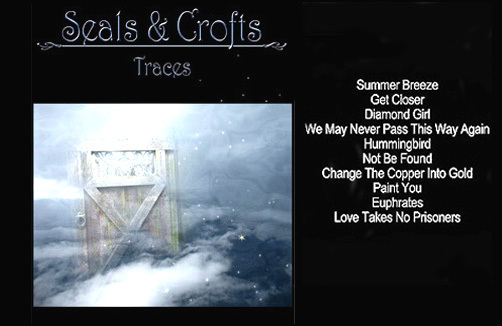 The single is not the updated version of the song that appears on Traces. It is in fact the original version of the song, edited and remixed by Philip Steir and Leah Simon. It was on Billboard's AC chart for several weeks and peaked at no. 15. There is a limited release of the single on cd, and you can download it at itunes.com. It was also re-released on the Warners Brothers compilation, "What Is Hip." There have been, incidentally, a number of good cover versions of "Summer Breeze" over the years, beginning with the Isley Brothers' hit rendition. Diverse interpretations have been done by Spiral (house), DJ Geoffe (trance), Ramsey Lewis (lounge jazz), One Love (reggae), Wayman Tisdale (soul), Type O Negative (metal) and Bad Haggis (weird electronic bagpipes). For a complete list of significant covers, check out the Summer Breeze page. 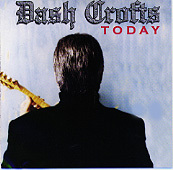 In 2000, Dash revised and released his cd, called TODAY. It's available wherever fine cds are sold. Dash is in excellent voice and several old S & C songs are revitalized in an "adult contemporary," ambient style with Louie Shelton playing several instruments, recording and even doing the photography. "Sunrise," "Ridin' Thumb" and "'Cause You Love" with Lua Crofts are outstanding. The new song "Mystery of Love" (actually written years before, in 1984) is a very fluid, pleasant love song. It's great to hear Dash! He looks like a kindly sea captain in the photos. Check out our interview with him and read more detail on the Today page. 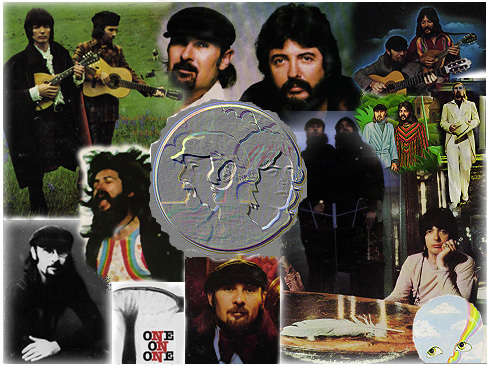 SEALS & CROFTS HIT NUMBER 1 ON THE BILLBOARD ALBUM CHARTS IN SEPTEMBER, 2003. Well, with a little help from Mary J. Blige. Her album debuted at the top of the Billboard charts in September of 2003, and included a song that incorporates the intro from a S&C song, Sweet Green Fields. The song is called "Press On." The intro has been sampled for a number of rap songs over the last few years, beginning with the Busta Rhymes hit, "Put Your Hands Where My Eyes Can See." Create in me a pure heart, O my God; and renew a tranquil conscience in me, O my Hope! Through the spirit of power confirm me in Thy Cause, O my Best-Beloved; and by the light of Thy glory reveal unto me Thy path, O Thou, the Goal of my desire! Through the Power of Thy transcendent might lift me up unto the heaven of Thy holiness, O Source of my being; and by the breezes of Thine eternity gladden me, O Thou Who art my God! Let Thine everlasting melodies breathe tranquility on me, O my Companion; and let the riches of Thine ancient countenance deliver me from all except Thee, O my Master; and let the tidings of the revelation of Thine incorruptible Essence bring me joy, O Thou Who art the most manifest of the manifest and the most hidden of the hidden! On this journey the traveler abideth in every land and dwelleth in every region. In every face, he seeketh the beauty of the Friend; in every country he looketh for the Beloved. He joineth every company, and seeketh fellowship with every soul, that happily in some mind he may uncover the secret of the Friend, or in some face he may behold the beauty of the Loved One. And if, by the help of God, he findeth on this journey a trace of the traceless Friend, and inhaleth the fragrance of the long-lost Joseph from the heavenly messenger, he shall straightway step into The Valley of Love and be dissolved in the fire of love. In this city the heaven of ecstasy is upraised and the world-illuming sun of yearning shineth, and the fire of love is ablaze; and when the fire of love is ablaze, it burneth to ashes the harvest of reason. Acknowledgements: Many, many thanks to Shawn Shumake for all his continuing help with this project! Also thanks to Vahid Spencer and Bill Thompson -- and of course Dash and Jimmy. Sign My Guestbook View My Guestbook novatony@verizon.net. This page and all linked contents are © 2000-2013 by Anthony Bentivegna, Novato, CA, USA. All rights reserved.